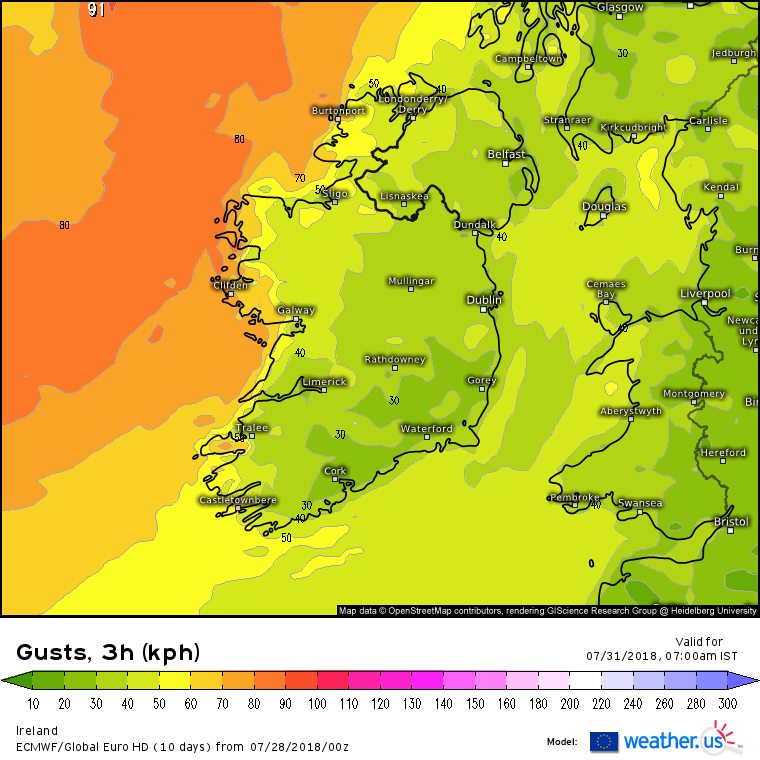 Could get windy along Southern coasts in the early hours of Monday morning. 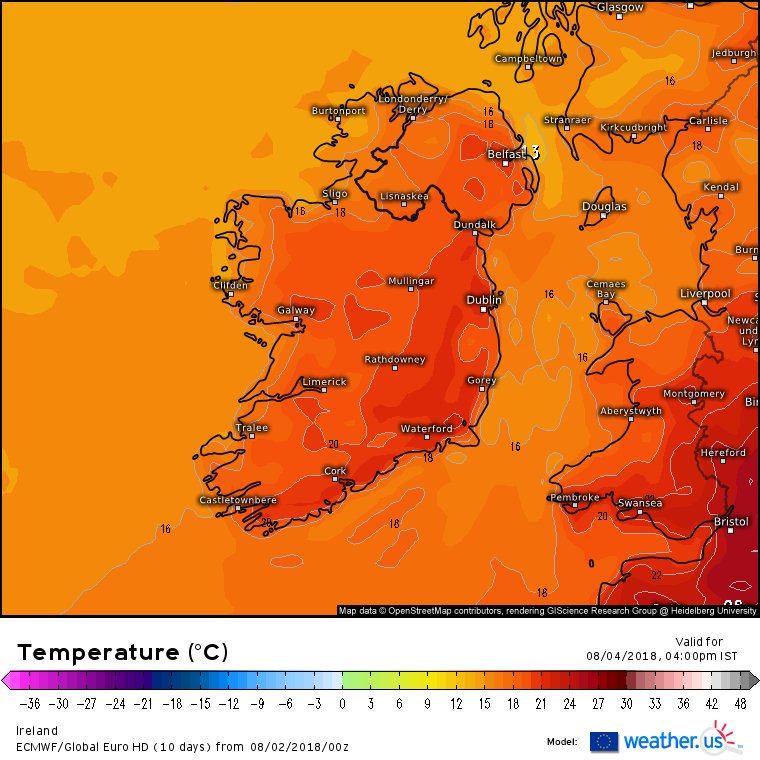 Low pressure pushing up from the south tonight into tomorrow will bring temperatures back up for a time to the high teens and touching 20c. 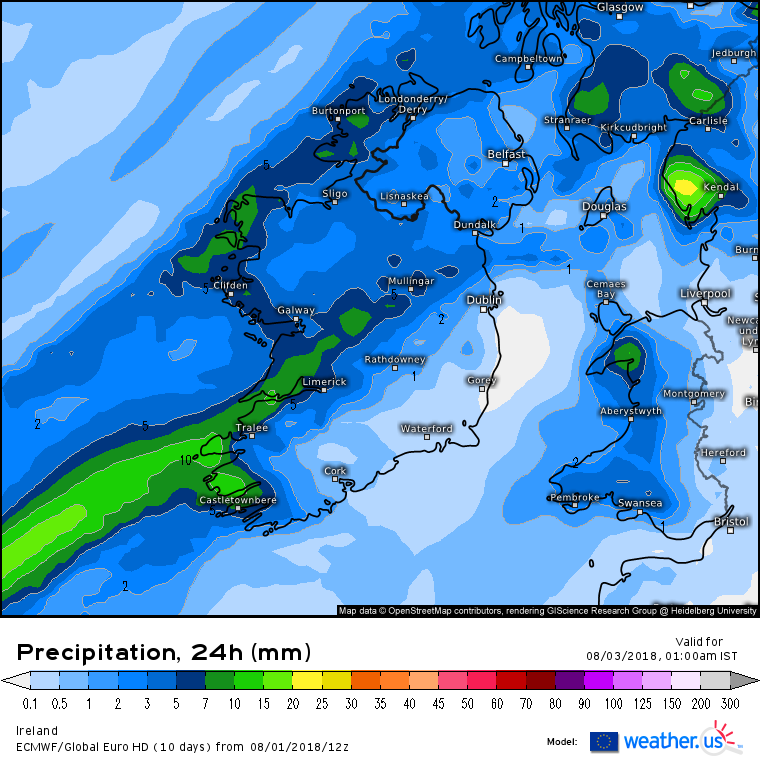 Cooler again on Monday as the 546 dam line makes its return after a one day break but not lasting for long. 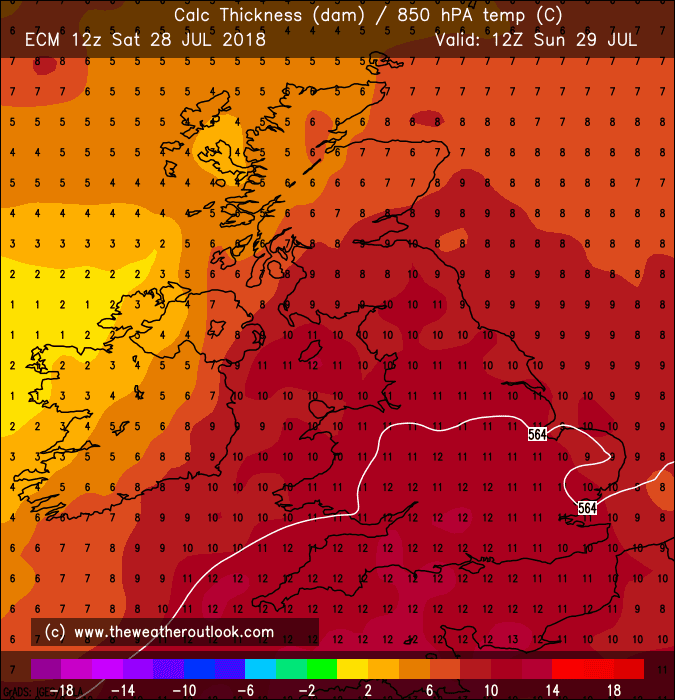 Quite a chart for the heart of Summer tomorrow. 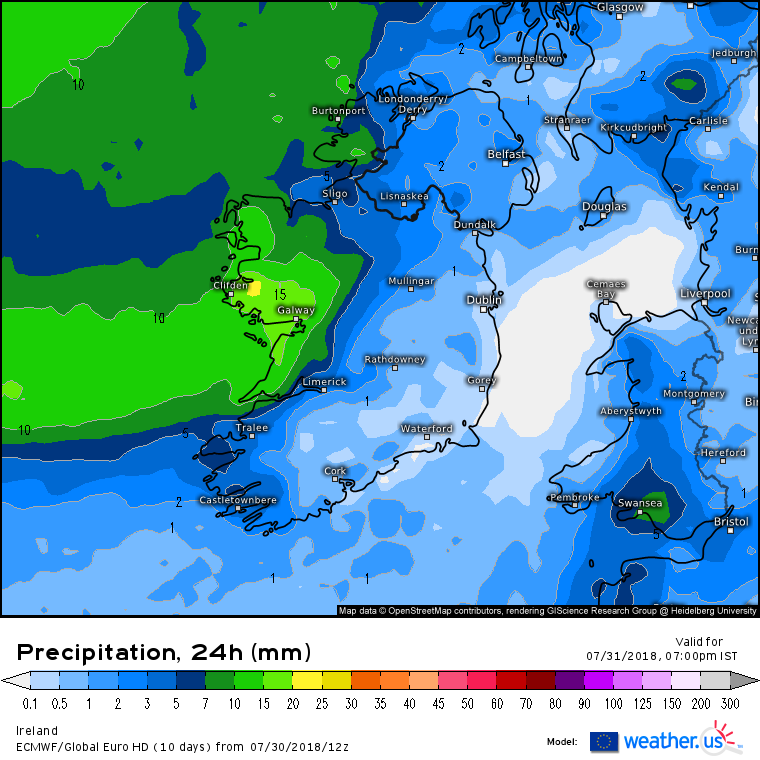 System approaching Western coasts in the early hours, should be a decent fall of rain as the fronts move onshore ,mostly in the W and NW , less so in the SW . Less rain the further East. 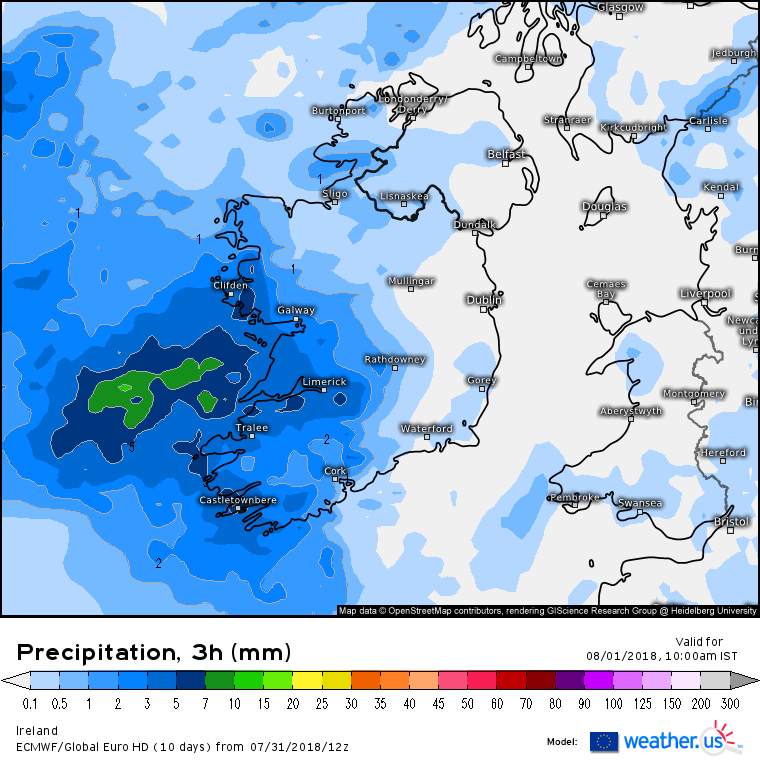 Showers throughout the day from the W. Getting windy along atlantic coasts with small craft warning at sea increasing force 6 to 7 and gusty, extending to all sea areas by tomorrow morning. Breezy / gusty overland. 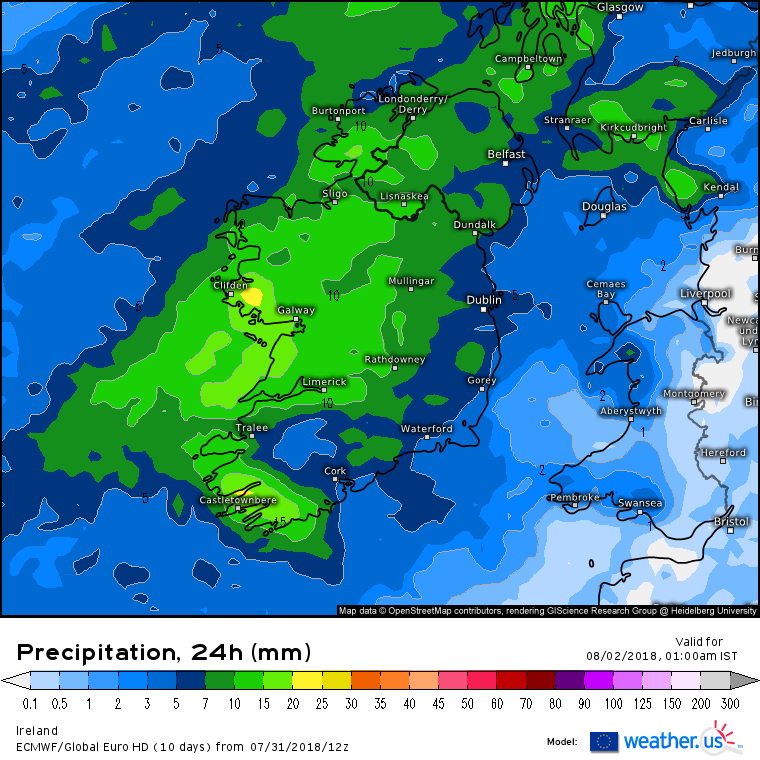 A wave LP system approaching the SW Tomorrow with fronts moving in over the country from early bringing rain to all parts eventually. 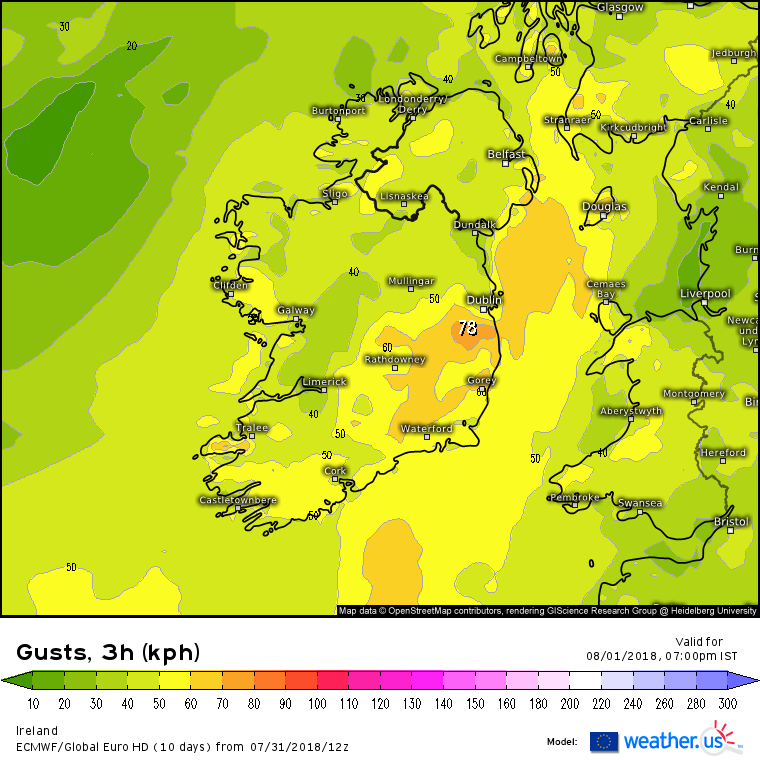 Windy too and could get a bit windy in the late afternoon / early evening along the SE and E.
The ARPEGE 12Z take on the weather tomorrow. Wet, cloudy and windy. 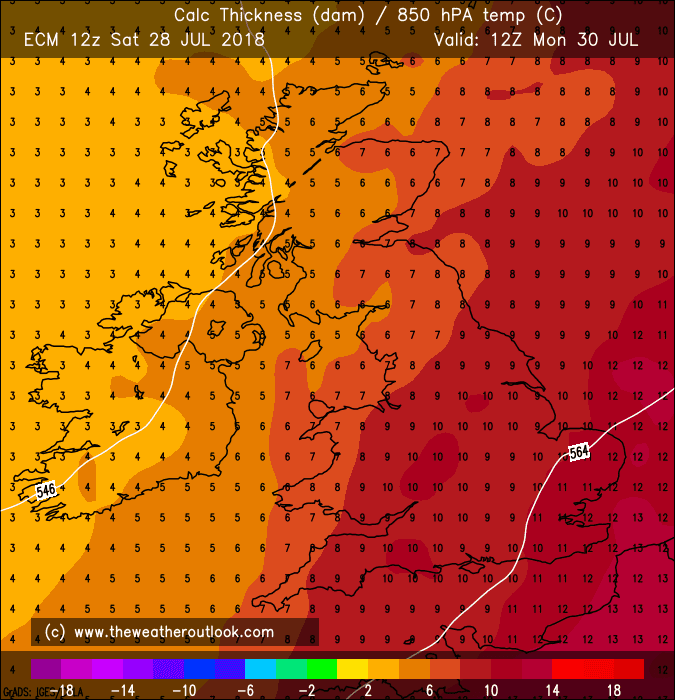 Getting up to high teens or touching 20C perhaps. 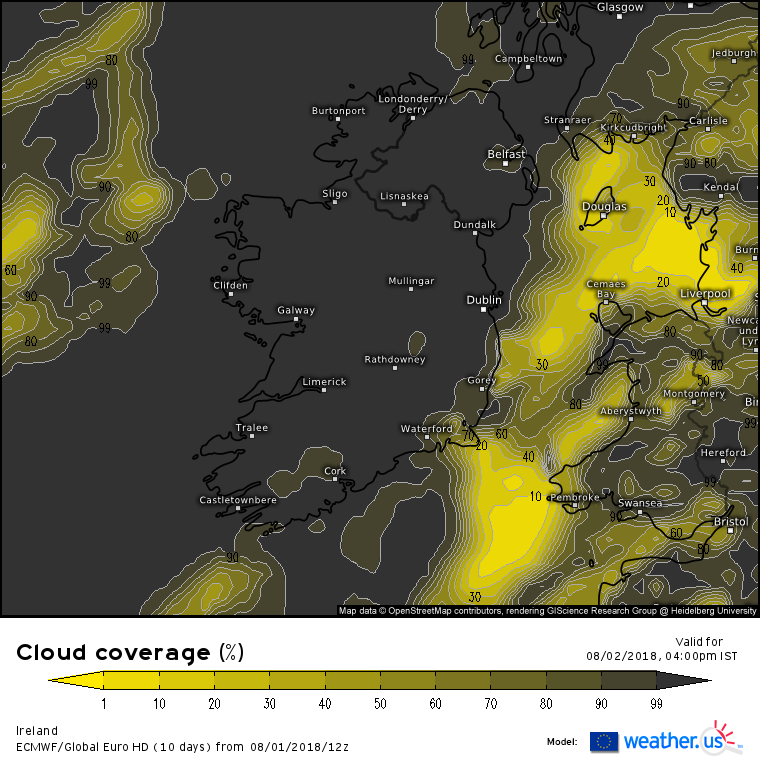 Looking like overcast ( Low stratus for a lot of the day ) and damp tomorrow, rain and misty conditions again. Most rain along Atlantic counties. 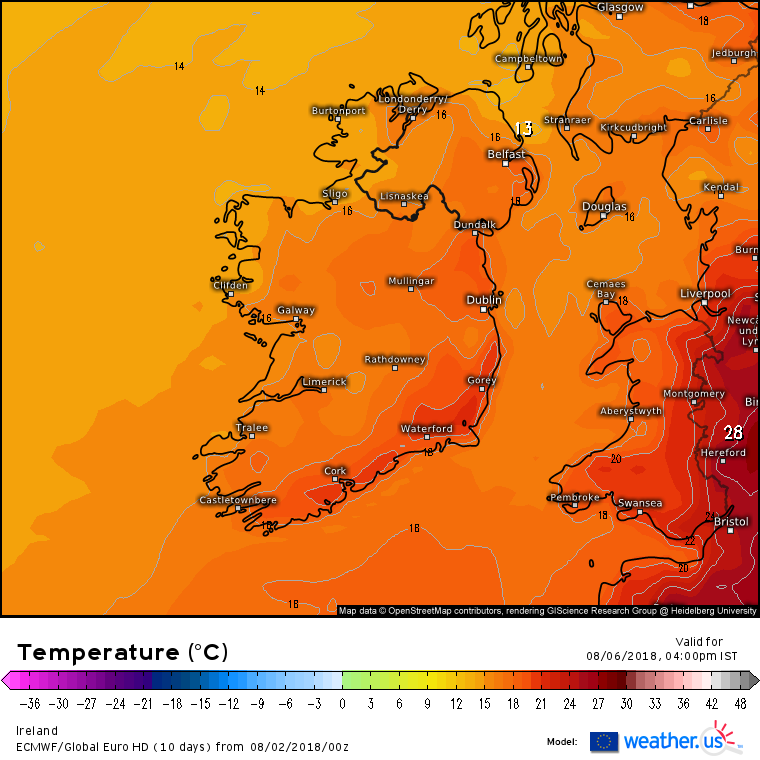 Temps poor along Atlantic coasts bit better inland and warmest the more E ( wonder will the E get a bit of sunshine maybe up until around early afternoon ). Muggy and humid tomorrow. 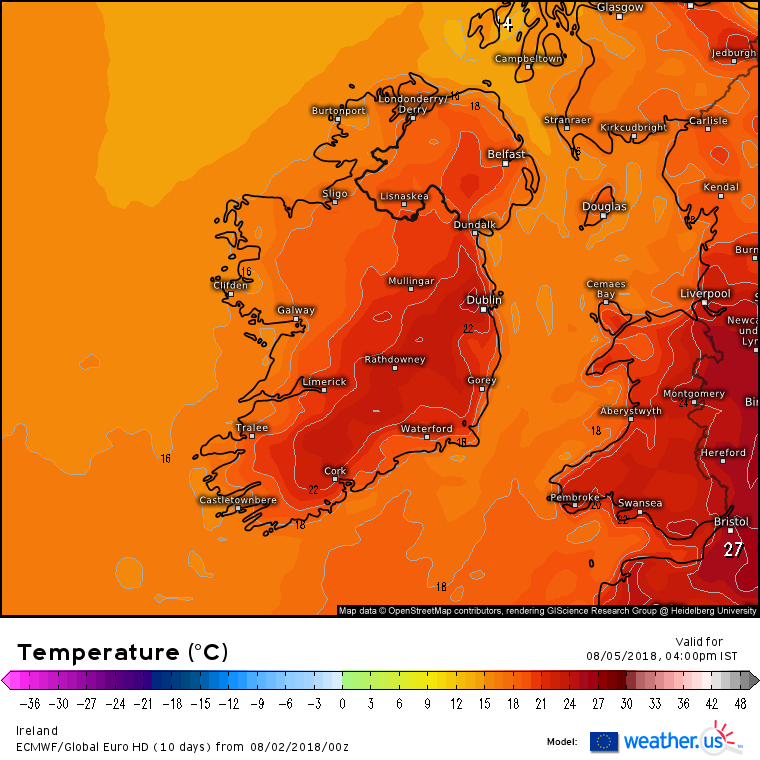 Decent temperatures forecast tomorrow and Sunday to mid 20's, low 20's Sat. 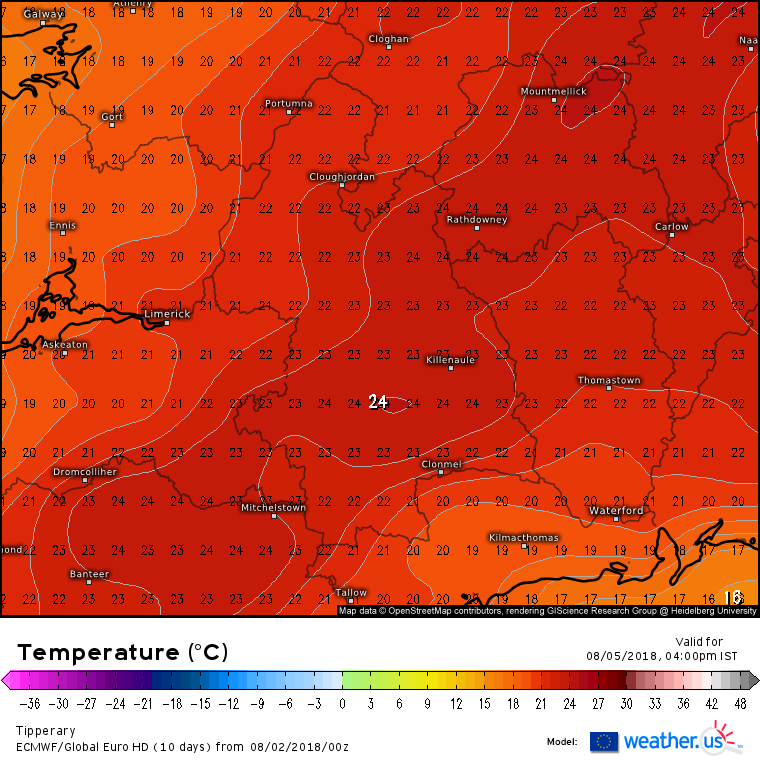 Fall off in Temperatures early next week. 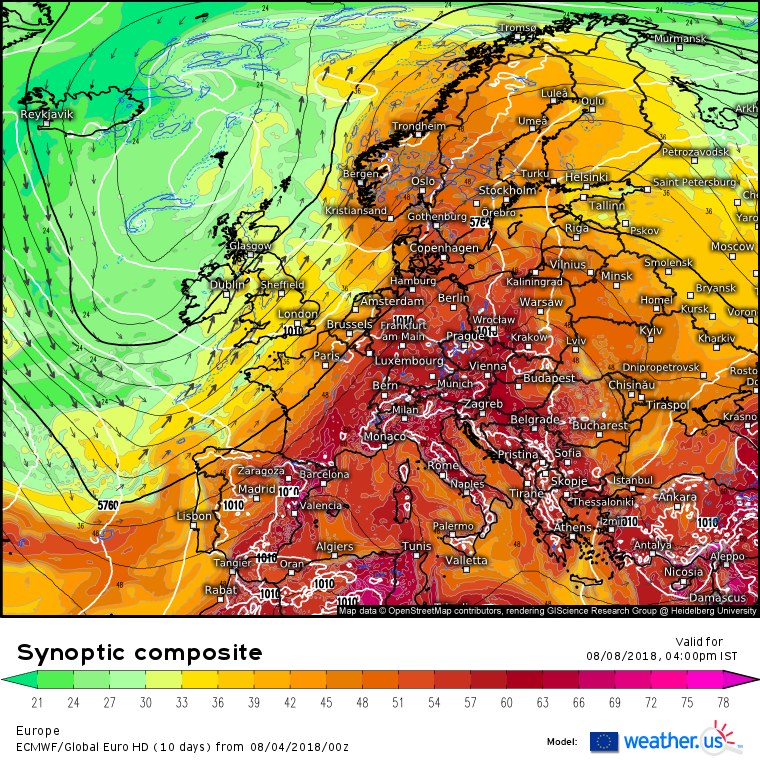 Shortwave trough moving over Ireland Weds and Thurs with associated cold uppers looks like giving rise to showery and possibly thundery weather both days. 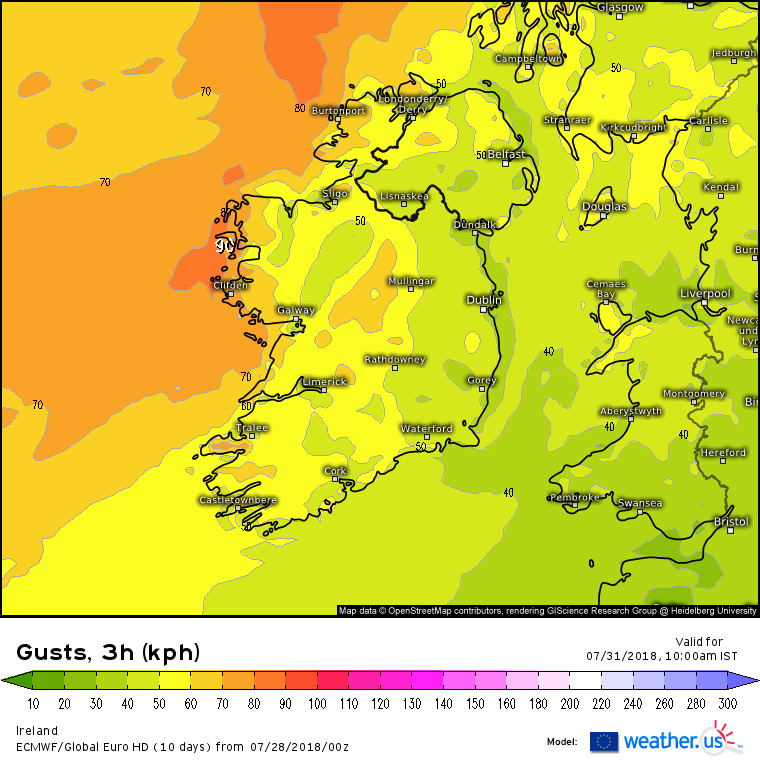 Quite a windy Friday night possibly. 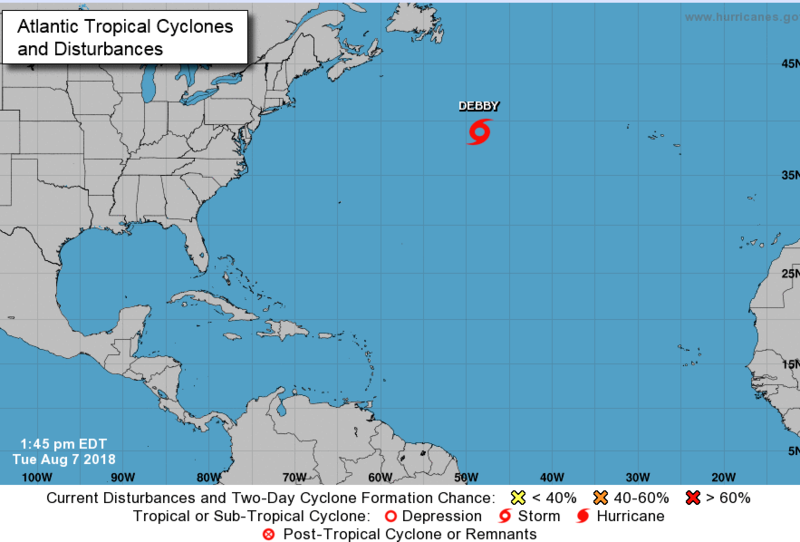 Been watching that aea of LP in the Atlantic W of the Azores for some days. 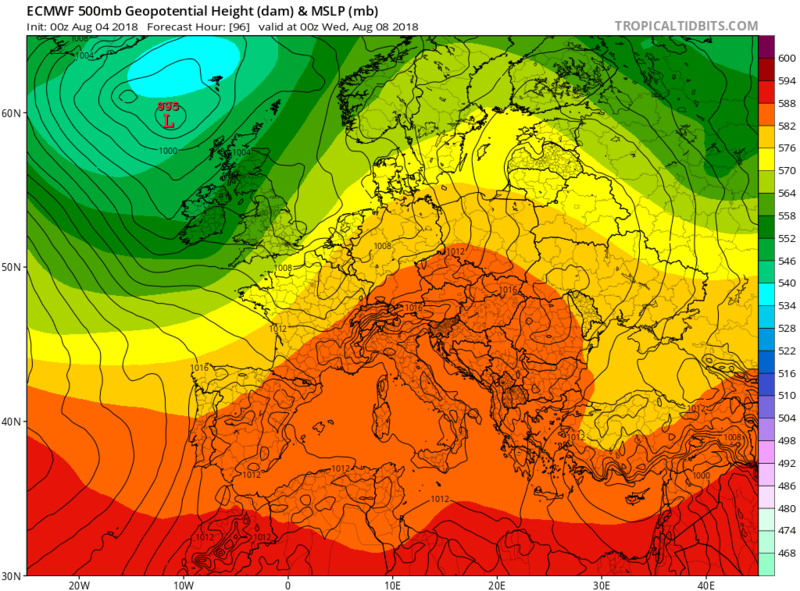 It has been upgraded to subtropical storm status but is set to dissipate within 48 hrs and become embedded in the trough moving E towards Ireland which brings rain and winds to us over the weekend. 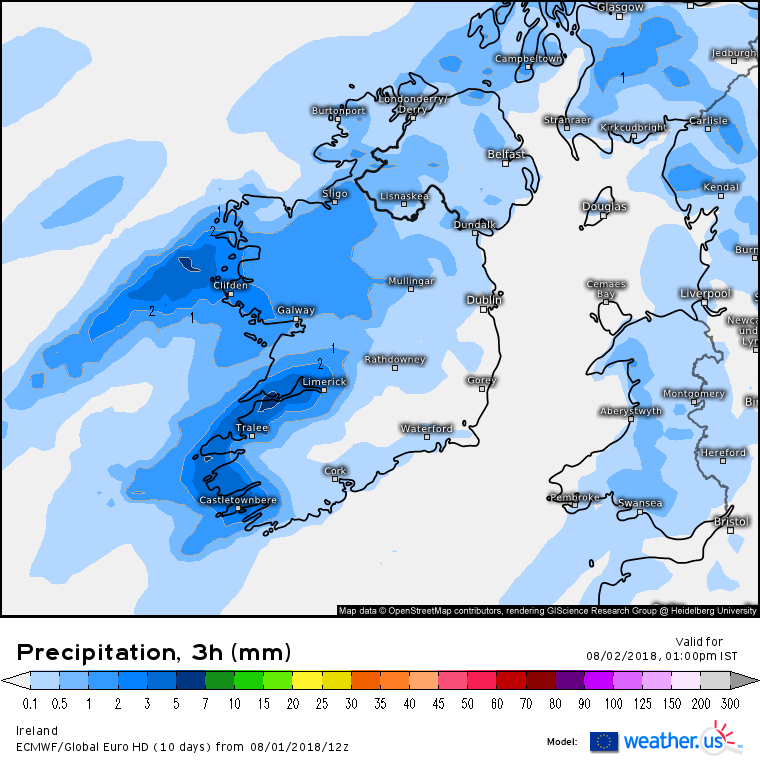 Earlier predictions were showing the bulk of the rain Fri but this has been pushed back to late Fri into Sat. 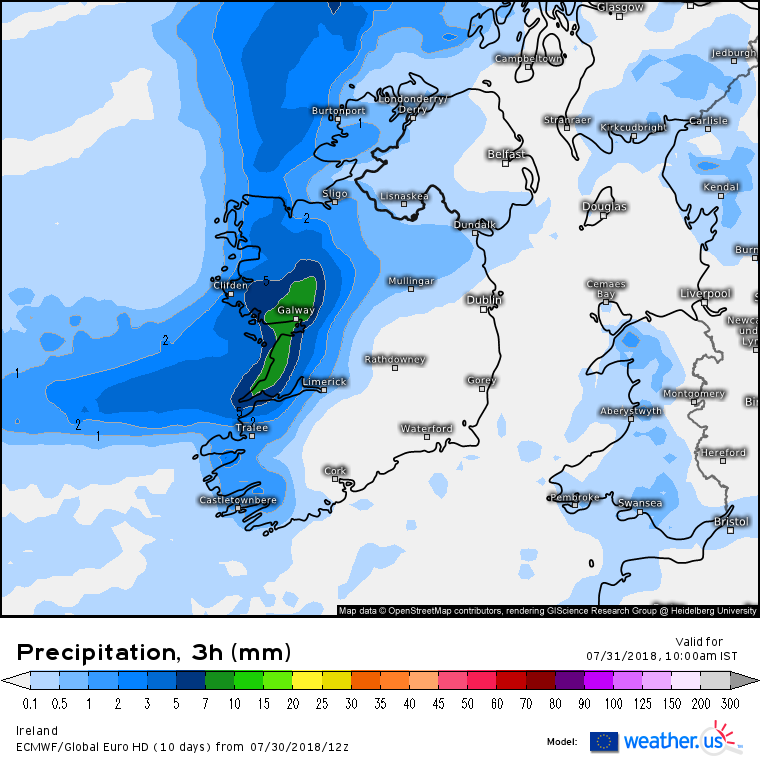 Amounts have also been downgraded by the models , but still early days. 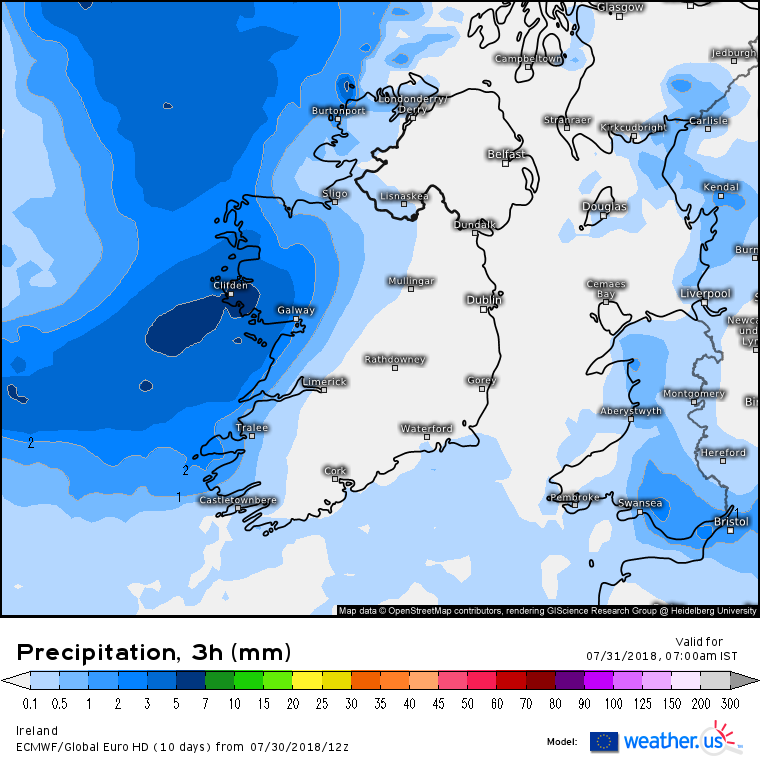 I have observed these setups produce a lot of rain and was thinking it might but maybe not this time. 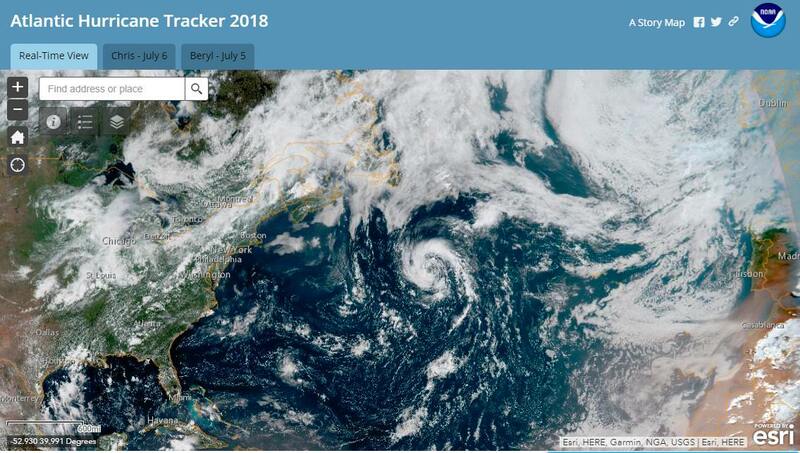 Winds have also been downgraded somewhat at this stage as the system that reaches us has lost its shape and begins to fill becoming occluded and fronts begin to dissipate. Still a few more days of tweaks . 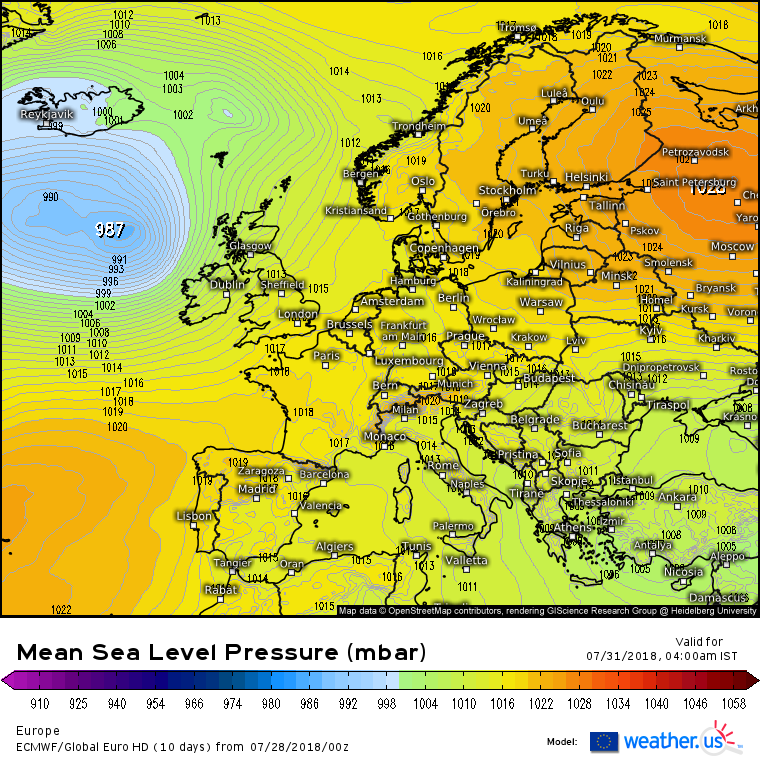 ECM and GFS quite similar. the other models have a lot of variation yet. 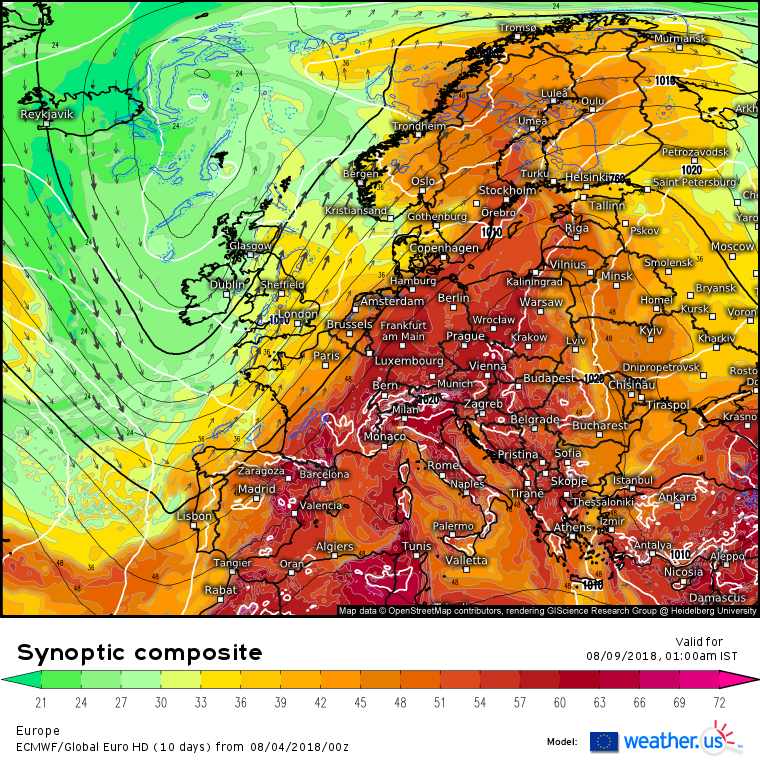 Feeling mild and humid Fri night into Sat under and behind the warm fronts. 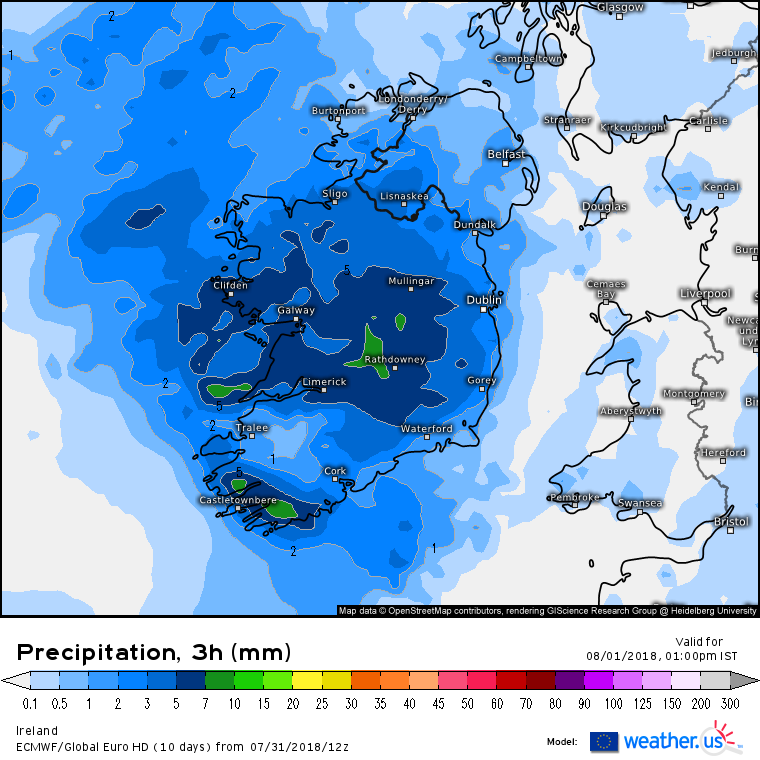 Latest GFS 18Z showing over 25mm of rain for many places in Connaught in 24 hrs between 20.00 Fri and 20.00 Sat .